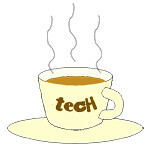 online « Tech bytes for tea? Shipping costs can now be reimbursed with Shopee Free Shipping and users will receive greater support through Shopee University and the platform’s latest innovations. “Since the official launch version of our platform, Shopee has seen tremendous growth with our sellers, buyers, product listings and orders now in the millions. To ensure this growth rate continues, we are committed to invest more in constantly enhancing our ecosystem through innovation and developing initiatives such as Shopee Free Shipping to empower individuals, especially budding entrepreneurs, to start their business journey on our platform by first removing the hassles of shipping costs. 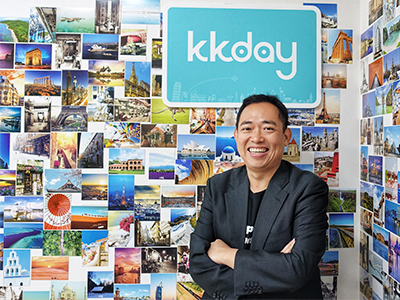 This in turn elevates mobile commerce standards and further strengthens our regional market leadership position, bringing us closer to achieve our aim in becoming Southeast Asia’s mobile commerce destination of choice,” said Chris Feng, Chief Executive Officer of Shopee. 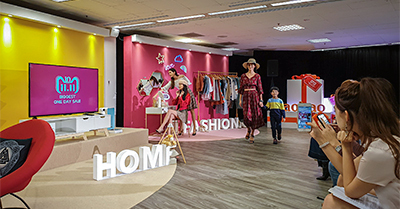 Shopee, Garena’s eCommerce platform, today launched two initiatives—Shopee Free Shipping (Beta) and Shopee University, as well as announced product innovation updates at its inaugural Biannual Press Conference. Bunk beds for Shopee employees to catch a power nap over lunch or overnight in the Shopee HQ office in Fusionopolis in Singapore. Beside this room is the #massage room with a full-time masseuse to give staff a rub down. This marks the beginning of an important growth strategy that the mobile-first social marketplace is commencing for the months ahead. Oracle ERP Cloud streamlines RedMart’s business processes, reduces IT costs, and improves business agility. “Large, mid-sized, and start-up companies are turning to Oracle for cloud-based solutions to better manage their resources to improve the efficiency of their operations. We are happy that Redmart has chosen Oracle ERP Cloud. It clearly outlines Redmart’s vision to modernize their finance and procurement processes to propel the company to the next level of growth,” said Neeraj Shaabi, Regional Managing Director for ASEAN and Sage, Oracle. RedMart, one of Singapore’s largest online supermarkets, has chosen Oracle Enterprise Resource Planning (ERP) Cloud to fuel the company’s growth. “We are glad to have achieved the success we have today, but we are still growing and constantly exploring how to further improve our internal operations. Being a startup, business priorities tend to change quickly to respond to the competitive needs of the market. Our systems need to be flexible to match up with our priorities. Technology is at the heart of our business, and we need to constantly strengthen it in order to grow, and we’re glad that Oracle is along that journey with us,” said Jim Boland, Head of Finance, RedMart. Oracle Enterprise Resource Planning Cloud will serve as a key business platform for RedMart’s growth. RedMart is a successful start-up in Singapore that serves as an e-commerce platform which allows customers to buy groceries and household products, including fresh and frozen food, personal care, health and wellness, baby, and beverage, and pet products online. Since its launch in 2011, RedMart has grown 10-20% month-over-month and more than doubled each year. Previously, the legacy ERP system could not scale to the high transaction volume in line with the company’s growth, did not have the capability to produce useful reports, and was not flexible enough for the company’s fast changing business priorities. RedMart needed to improve system performance and flexibility to enable further expansion of the business. Google has collaborated with its partners to offer 3 days of online bargain shopping from 2-4 February to shoppers in Singapore. A list of participating vendors is at the end of this article. 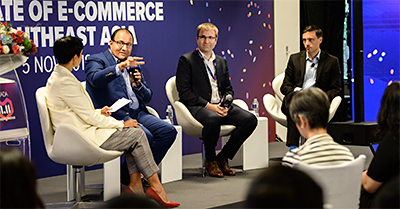 From right: Joanna Flint (Country Director, Singapore, Google Asia Pacific) launching the GOSF.SG with partners, Lim Bee Bee (Head of Marketing for Consumer Banking Group Singapore, DBS Bank; and Marcelo Wesseler (SingPost’s Senior Vice President of eCommerce). Google, along with DBS and SingPost, revealed the categories and deals on offer which range from travel to beauty, fashion and electronics. 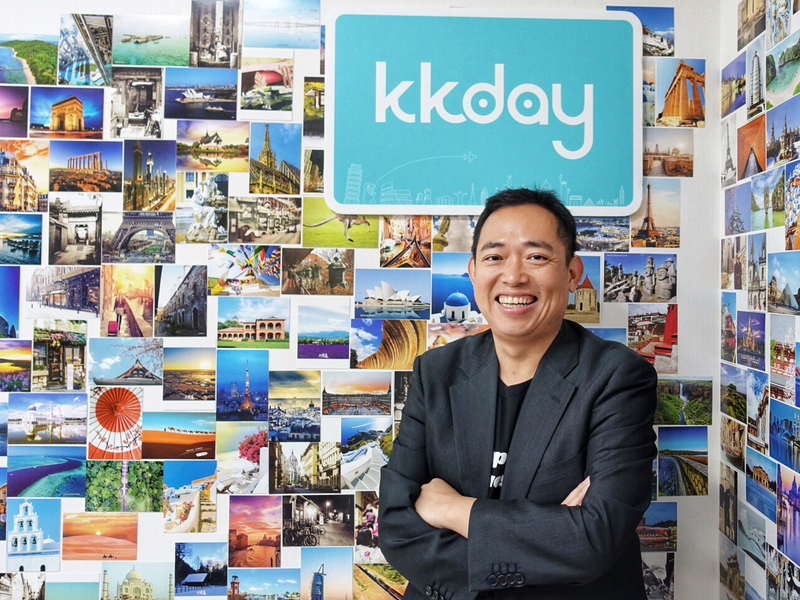 “We’re excited to be teaming up with businesses across Singapore to celebrate the best of eCommerce here, and bring great deals from around the web to shoppers in the run up to Chinese New Year. 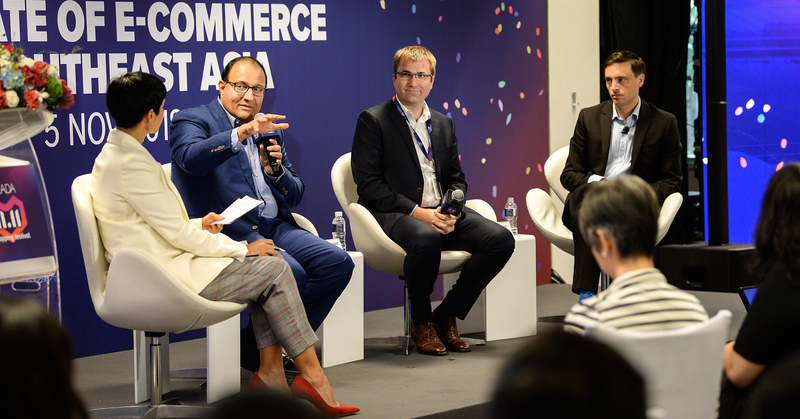 Singaporeans are sophisticated shoppers and the Internet is a key part of the shopping process for them,” said Joanna Flint, Country Director, Singapore, Google Asia Pacific. The 72-hour-long Great Online Shopping Festival on gosf.sg will commence from midnight on February 2, bringing deals from more than 60 brands onto a common platform to customers across the island nation. Discounts include up to 90 percent off electronics, over 80 percent off fashion brands, up to 75 percent off travel deals, up to 70 percent off beauty products and many more from favorites like Courts, Zalora, Agoda and Luxola. The festival is also supported by DBS and SingPost. The first 2000 registered shoppers to spend over a total of S$168 with their DBS/POSB cards will receive an additional 15 percent rebate or up to S$100 off. Two very different online shopping experience to check out over the weekend. Omigo offers to be Singapore’s one-stop online shopping destination; while SampleStore.com is an innovative try-vertising platform in Singapore. Omigo and SampleStore.com are two online shopping websites that belong to SingPost. Both websites are part of the Singapore Post group of companies with the former powered by vPost. I first came across them during a briefing by SingPost a few weeks ago. I suppose it is part of the company’s effort to diversify its business beyond traditional mail and package delivery. Omigo – online offers free delivery for purchases above S$99, and 14 days free return policy. Omigo offers a broad range of products in the following categories: cameras, mobiles & tablets, computers, games, audio & video, and baby & toys. So the product line at the moment seem to be heavy on the IT and electronics side. The site offers free delivery for purchases above S$99, and 14 days free return policy. To start you off, you can sign up for their newsletter and get a free S$15 voucher. SampleStore.com allows members to try out samples for free. SampleStore.com is a more interesting concept, taking sample-trying into the digital age. SampleStore.com handles only the trying of samples, so if you’re sold on the product and decide to purchase more of it, you’ll still have to go elsewhere – online or in a physical store – to make the purchase. The website offers consumers the opportunity to “Try Before You Buy” a product. You get to try out the samples you select for free, paying a flat rate of S$5.99 for handling and postage (certain samples even have these fees waived if they are sponsored). To continue receiving samples for free, you have to write reviews on the website about the samples you have received and tried. Sample product categories include: Baby, Body, Eye, Face, Feminine care, Food, Fragrance, Hair, Sports, Supplement, Toiletries and Others. This is the time of the year when The Great Singapore Sale 2013 (31 May to 28 July) hits Singapore. But if you’re not in Singapore, or if you’re thinking of doing some of your shopping online, here are some tips for buying things online – safely. For the details to each of the above tips, click the image to view the full enlarged version of the infographic. Start by securing the device you use to do your shopping, be it a notebook or a smartphone.